Knowing where biblical events happened can help you understand the bigger picture of scripture--and that's what The Bible Atlas and Companion is all about. Based on NASA Space Shuttle imagery, the 75 maps in this beautiful, full-color reference feature some of the most precise geographical detail available. They cover all of Bible history--from "The Nations of the Ancient World" in the time of Moses, through "The Churches of Revelation." Concise, easy-to-read text explains the biblical background and other relevant facts, while more than 70 photographs further elaborate on the maps. Packaged in a convenient, lay-flat spiral binding, The Bible Atlas and Companion is an indispensable tool for personal Bible study. 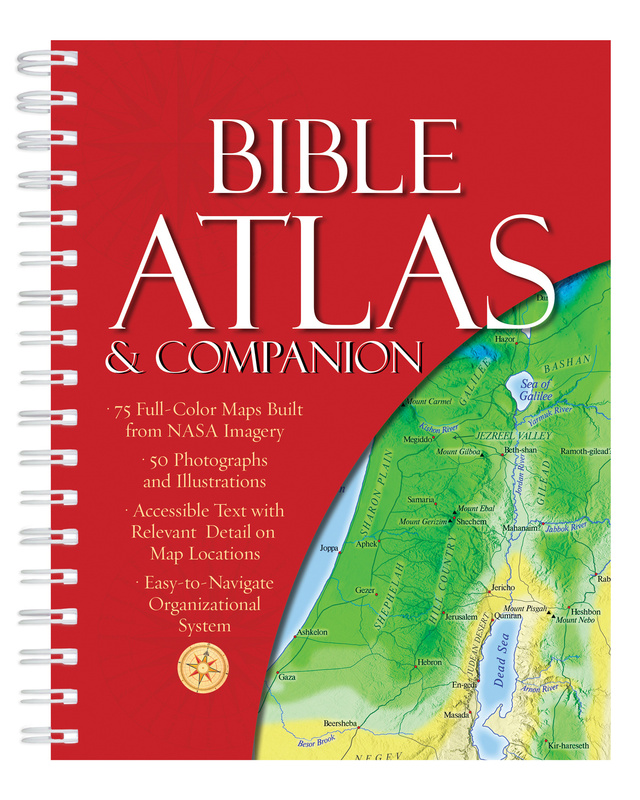 Bible Atlas & Companion by Hudson, Christopher D. was published by Barbour Publishing in April 2017 and is our 52217th best seller. The ISBN for Bible Atlas & Companion is 9781683221432. 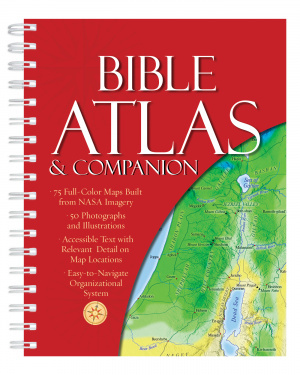 Be the first to review Bible Atlas & Companion! Got a question? No problem! Just click here to ask us about Bible Atlas & Companion.